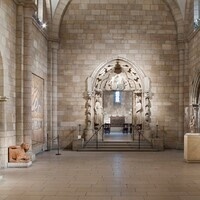 Many of the architectural elements in the Cloisters Museum remain “orphaned” from their original context. Dr. Nancy Wu will trace the journeys that some of these objects took, from their provenance through the hands of owners and dealers before entering the museum. What catalyzed their initial fragmentation and how can we reconstruct the context that was lost?